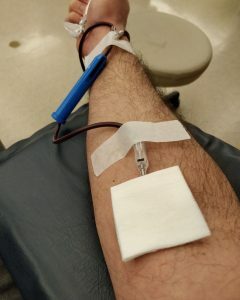 On February 1st, I visited the Canadian Blood Services located in downtown Toronto to donate blood. ‘RTs and Friends Blood Drive’ aims to encourage Respiratory Therapists, friends, families and other members of public to make a blood donation. Share this cause, book an appointment, and make a donation.